Are you looking to try something new? Maybe you would like to make something artsy for your crafty space? How about a gift for a crafty friend? No matter what the reason we are sure that you will love this workshop!!! You will remember the trips you take, the birthday's you celebrate, the Christmas tree and the summer camping trips.......but I bet you have already forgotten about 50% of the photos you have taken in the last 2 months.....all the little moments that make up the biggest part of our lives. One of the 'most asked' questions we get at our store is about the titles and die-cuts on our kits and layout samples. Join Carolyn and learn the basics on how to create custom titles for your layouts using your Silhouette machine. 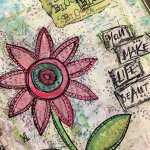 It's time to get messy and have some fun with art journaling. It is a great experience from start to finish and you will be amazed at what you can create. We would love it if you would spend NSD with us!! We have set aside this day for non-stop crafting, just for you. Join us on Saturday, May 4th from 9am - 9pm. That means you will have 12-hours to scrapbook the day away. 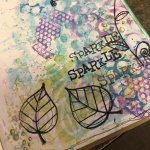 Why not take a break from your busy schedule and enjoy some scrapbooking with friends. 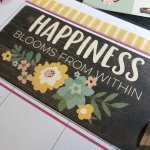 Our Crops are the perfect opportunity to finish up those half-done pages, be inspired by a store full of great products and meet other scrapbookers. All of our cropping tools, including our die cut machines (must supply your own cutting mat), punches, and stitching tools, are available for you to use! These crops fill up fast, so reserve a spot now for you and your friends.